Having a printer along with your MAC is a must. Especially if you’re the type of person, who has a lot of paperwork. Printing things out can also sometimes be a hassle, so we are here to provide you with the top 10 best all-in-one printers for MAC to make your life easier. 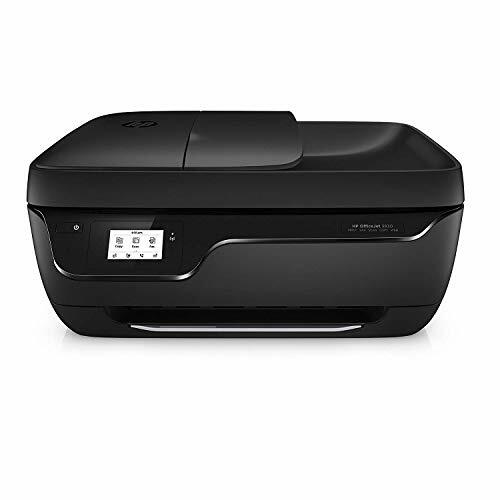 The primary functions of this HP color ink-jet compact printer are to copy, scan, do wireless printing, AirPrint, and more. It can do wireless printing, connect your iPhone using AirPrint- you don’t need an internet connection to do this either. There’s an optional quiet mode that helps keep noise to a minimum whenever you’re printing. You can choose whatever type of bundle you’d want your printer to have when you buy this. It doesn’t take long to set this printer up, and it instantly connects to your devices- as long as it’s on the same WiFi network. It offers a good app, but there isn’t a need to download it, it doesn’t require any particular set up with your computer either. The printer itself is pretty self-explanatory and intuitive. However, the touch screen is a little small, but if you can use a regular sized touchscreen on a smartphone, you can probably use this with no problem. 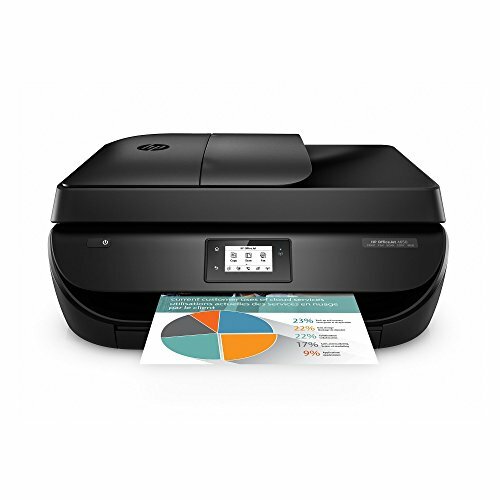 If you want a reasonably priced, reliable printer that is simple to install and easy to use, this HP Office jet 3830 is a great choice. This printer is compatible with Windows 8, Windows RT, Windows 7, Windows 7 SP1, Windows Vista SP1, Vista SP2, Windows XP SP3 32-bit and Mac OSX 10.6.8 – 10.9.x. So if you’re a Windows 10 user- this printer isn’t for you. It has a lot of features like Wireless LAN, Wireless Printing, USB 2.0 Hi-Speed, and many more. It offers a super-fast connection for your data transfers. 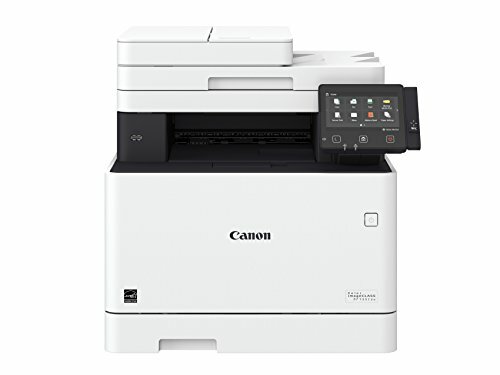 It also comes with a fully integrated, 35-sheet Duplex Auto Document Feeder for easier copy, scan and faxes for multiple documents without having to load them one page at a time. However, if you set up the printer using WPS your phone will never pick up the printer or will appear offline. You have to select WLAN Setup from Menu on the printer then choose other setup options on the LCD screen then select standard setup and find your router then choose and type in your password then connect. Also, you have to make sure your phone is on the same channel, so especially if you have a dual-band router and your phone is on the 5ghz channel, and the printer is on the 2.4ghz channel you will also run into problems. This printer is more suited for home use than office use; however, it has a lot of features built in, and it’s all at an excellent price. The set up isn’t hard to do and easy to understand. It comes with an easy to read quick setup poster than walks you through all the steps. Its user interface is fundamental, clean, and simple. It attached with a small LCD screen that is reasonably clear. However, it can’t display much regarding messages without scrolling. The buttons to this printer are rather small and rubbery; there might also be times when it won’t provide much feedback. Although, they are all clearly labeled. The printer has a paper tray that’s easy to load that can hold up to 250 sheets of paper. 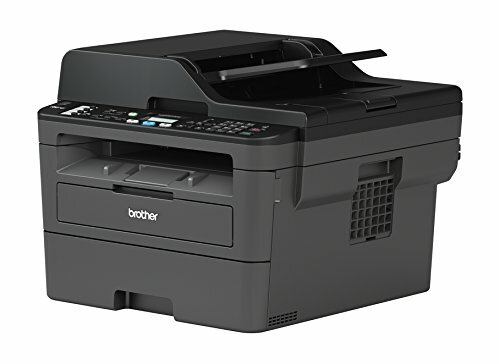 Before you can use this printer, you’re going to have to install the Brother software. The software is very straightforward; there are prompts in which you can easily navigate through. It’s easy to use and very comprehensive in regards to printing/scanning options. However, if you still get confused about it, there’s an online manual that you can read. The printer supports both direct-connecting and network printing. Also, all of its features are well made and does its job well. The print quality for graphics is not as sharp as other laser printers, it is perfectly fine, however, for every day use and necessary business correspondence. Needs another software to connect it to your PC/Network use. This printer needs a lot of space as it’s rather large. The top of the printer needs space to swing and lift- especially if you need to scan something. The screen of the printer very clear and easy to use. It is self-explanatory when you set it up, guiding you through all the steps. Printing labels is excellent for this printer. The printer comes with ink, basic instructions, and a CD-ROM to set up the software. You can also get it online. This printer uses WiFi from your in-house router that you have with the internet, or you can use the cloud online. You can also connect via USB port to a desktop or laptop if you desire. However, putting ink into the unit may be frustrating. The print quality is goofy looking, half cut off and adjustments not being easy to use. Putting ink can be frustrating. Printed photo quality isn’t that great. This printer is vast, excellent for office work. It can scan documents automatically and directly to the USB device. The printer doesn’t have to be connected to a computer to do its job. It is quick to respond to print jobs, prints, and copies beautifully. It also seamlessly connects to the computer for scanning. Setup is straightforward, and it can print within 28 pages per minute. It also offers wireless printing. This printer is said to be easy to connect to the wireless. It also does good quality scanning (double sided at once). This is a massive and huge printer. The installation of the printer driver and scanner software from the provided CD was easy. The touch screen is big, and the menu has several options for the print/scan/copy functions. Just connect your flash drive (USB) and use the touch screen menu to print your files from your flash drive, scan a document-save the scanned files on your flash drive. There is no need for it to be connected to a computer. However, the printing quality (photos) could be better. Very solid duplex ADF(Auto Document Feeder) scanner which works flawlessly(No skewed/crooked copies/scans). Printing quality could be better. Setting up this printer is easy as long as you read the online manual to get the printer password and complete setup. If you happen to be on your iPad or iPhone great, as long as they can find the printer you can use it. Though during the wireless setup it is possible to run into some problems, turning off and on the printer and retrying the software detection a couple of times would do the trick. It has a nice design and looks aesthetically pleasing. Also, you can choose on whether or not you’d want the printer black, white, or red. The printer comes with a black and a color ink cartridge each. However, it does not come with a USB or any other printer cable. You can connect it with a USB cable separately purchased, like any other inkjet, and it is wireless. This commercial class printer works well, and if you need laser crisp printing (no inkjet bleed) on a tight budget, this printer will do its job. 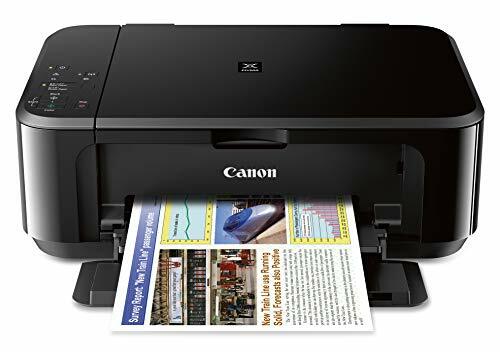 It is an excellent printer for advertisements, copying needs, and scanning forms so that they can be completed electronically. The touchscreen is very responsive (one doesn’t have to push their finger through the screen), the printing is good, and scanning works wonderfully. Setup for this is easy; this printer can be unpacked and printing within 10 minutes. It has a quick start guide that has all you need to get started. The instructions for what to do to the tanks and CD install are all pretty easy to understand and simple to do. However, setting up can become difficult when using advanced settings. The toners are reasonably priced, and replacement is simple. You may also be able to trick the printer into thinking it has new toners to get an extra few hundred sheets out of each. Problems with this printer are that the main feed roller for the ADF eats itself, and scanning will sometimes lose connectivity with the destination computer. 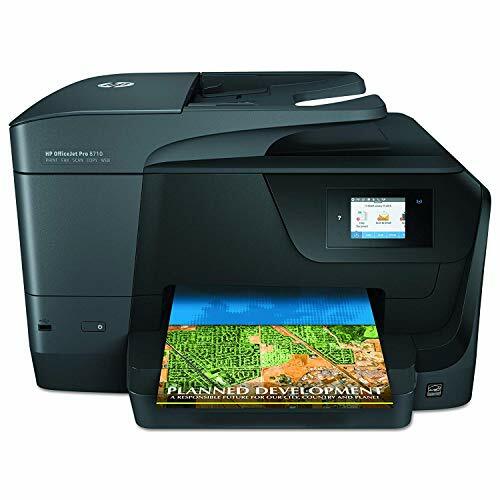 The primary function of this printer is to copy, scan, fax, do wireless printing and AirPrint, two-sided duplex printing, touchscreen, and more. Because of its wireless printing feature, you can print anything without the use of wires. 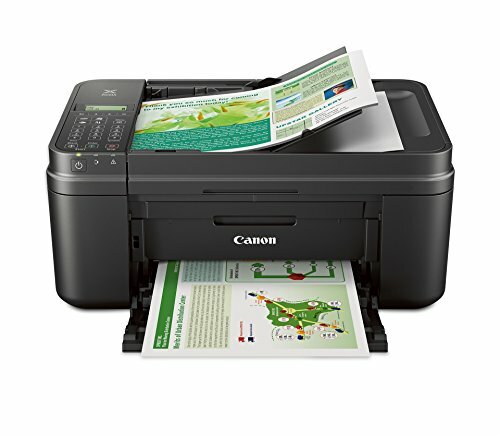 However, you can still connect directly from the printer to a computer with a USB cable cord for this model printer. Just search for HP 4650, and it should pop up in search results. 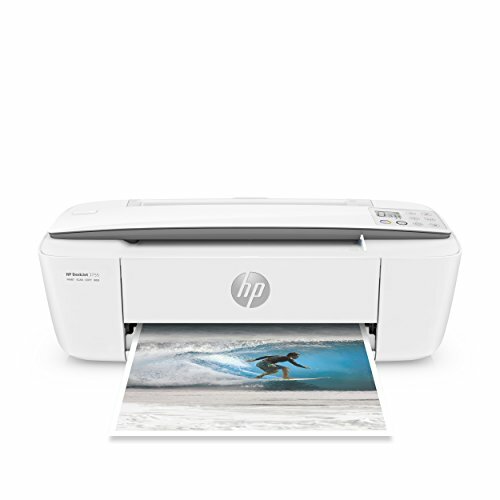 It is very easy to set up if you skirt around the HP services and software – followed prompts on printer once powered on but then did NOT accept terms for web connect through HP. Chose manual set up for the wifi – very simple as long as you know your router password. Then search for the printer from my computer and select it as the default. Set up done. All features worked flawlessly – scan, copy, print. The printer itself is rather big, so make sure that you have space for it. Also, the quality of the photos isn’t going to be the best. This is an excellent printer for at home, where you might only print your kid’s homework, the occasional downloaded pattern or a form you need to fill out and mail. It doesn’t hold a lot of paper, so if you want a printer to print out all of your wedding invitations on, no, this is not for you. 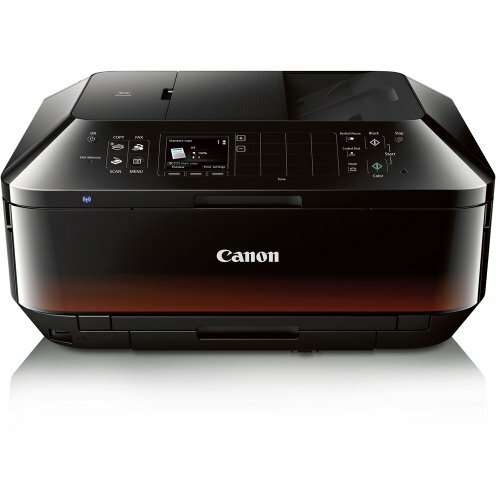 However, this printer offers wireless printing and has a list of different features. The printer is loud- although there is a solution, it’s the ridge just behind the ink heads if they are slightly raised, push it down firmly with your fingers, on both sides of the ink, and you should hear a click. After that, it works like a champ. This might be because of rough transportation. You can’t exit your way out of errors- fix them, or you’ll see them once you open this printer again. Also, it’s built-in software is pretty bad. This printer is 17 inches wide by 4.5 inches tall. This makes it the ideal size for a small space. 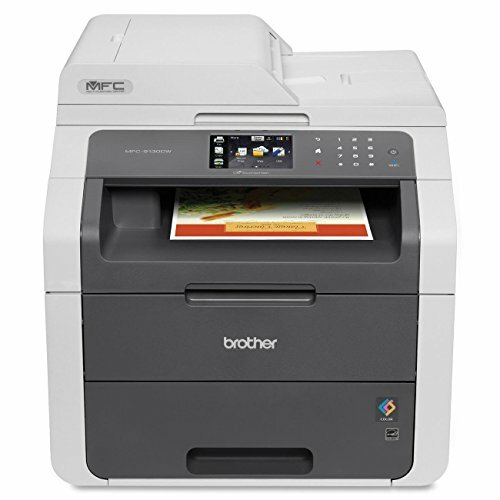 It has many different functions like the ability to scan, copy, and print, both in black and white and color. It also has the ability to be used via USB cord or Wi-Fi. These are features that are not typically found in a printer of this size and price. It’s also easy to use. There are limited buttons on this printer and setup via USB was very quick and painless. You have to follow the prompts on the computer and can typically print within 10 minutes after beginning setup. You can also set this up to multiple devices. The main downfall to this printer is the speed of printing. It takes approximately 15 seconds to print one full page in black and white and much longer in color. Also, the ink cartridges are too small, so this is definitely not a high capacity printer. It’s possibly great for home use. If you are a smartphone user, this printer is designed to add print capability. Since most photo sharing these days is by phone, printing is not done as frequently, but there are still times when you want to print out a picture or a document. If you print very infrequently, your ink may dry out.